There are people who think pro football is more popular than pro baseball. We’re in the middle of the NFL season now. The World Series is over. Yet, baseball is getting plenty of exposure. Baseball is the greatest talking game of any sport. We’re in the free agency period right now, players are filing and up until Nov. 12 teams can only talk to agents about interest. Money can’t be talked about until after that date. It is kind of like going to a candy store and not having any money. Yummy-yums are everywhere. We’d like to re-sign Aaron, Kyle Lohse and J. C. Romero. Instead of just calling the respective agents, Gillick and crew visited the agents the week after we were eliminated from the postseason. Whether we can sign them remains to be seen. By being free agents, they are entitled to check out the market. Everyone knows the Phillies need pitching. Everyone knows the market is thin (dangerous is how Gillick describes it). When the free agent market begins to unfold, alternate plans need to be in place. If player A goes to club X, you need a plan B. Perhaps free agency doesn’t fill a need but a trade does. Being creative in the trade market is something that is being kicked around. Talks will heat up next week when all the general managers meet in Orlando, Monday through Thursday. More news and more rumors will be coming out next week. Rumors are certainly a part of baseball, in-season and during the off-season. Think back to the July 31 trading deadline and how much buzz there was. I believe the NFL trading deadline was October 15. There was no buzz, just yawns. Thanks for all the responses to the October 11 Phillies Insider. Will get to responding later this week. First, wanted to give you an inside view of the organization meeting that was held the last two days. Scouts, minor league managers/coaches/instructors, athletic trainers, Charlie Manauel and his staff plus Pat Gillick’s complete department met at Citizens Bank Park. A total of 117 persons were in attendance. Generally, this meeting takes place in Clearwater during the Florida Instructional League season. Because many of the scouts and player development personnel hadn’t seen Citizens Bank Park, the meeting was held in Philadelphia this year. Every player on the major league roster and every player on the minor league rosters were briefly discussed in the large general sessions. For the major league players, Rich Dubee, Milt Thompson, Jimy Williams, Steve Smith, Ramon Henderson and Mick Billmeyer did the reviews. Minor league players were reviewed by their respective manager and pitching coach. Athletic trainer Scott Sheridan gave a medical overview of the major league players. Scouts follow amateur players and sign them after the draft. The young prospects are then turned over to the player development phase of the organization. The two-day meeting allowed the scouts and development staff to compare reports and discuss the players. It is the only time in a calendar year in which these two large groups are able to meet. Separate breakout sessions were also held. Gillick, Mike Arbuckle and Ruben Amaro oversaw three separate sessions with the pro scouts and major league coaching staff to review 2008 roster needs and potential free agents. The consensus, which is not a surprise: the Phillies need pitching, both starters and relievers. Lower on the shopping list are a potential upgrade at third base, a utility infielder who can play short (Jimmy Rollins didn’t miss a game on 2007) and perhaps an extra outfielder, depending upon what happens at that position (Aaron Rowand is a free agent). Scouts reviewed the grading system, international baseball, negotiations with draftees, the college scholarship program, the contract signing process and general business procedures. The player development staff also reviewed the scout grading system, ways to improve “The Phillies Way” of playing baseball, the rehab program, computer changes and draft selection process. Scouts and player development also had a session to review pitching and hitting philosophies of the organization, an overview of the 2007 draft and the process of players moving up and down the minor league system. The athletic trainers met separately twice to review the injuries and procedures the entire organization went through in 2007. Employee benefits and a skin cancer screening session were also folded in the two days. Baseball, once a sport with down time in the off-season, is now big business that is year-round. Thanks to those who posted comments from time to time. Always glad to hear what is on the minds of our fans. Yes, the 2007 edition of the Fightin’ Phils certainly captured the fans’ fancy. Oops, we are supposed to spell everything with a Ph: Phans’ Phancy!. Charlie Manuel managed a bunch that never quit, was down but always bounced back and busted gut every game. Speaking of comments, we’d love to hear from you. 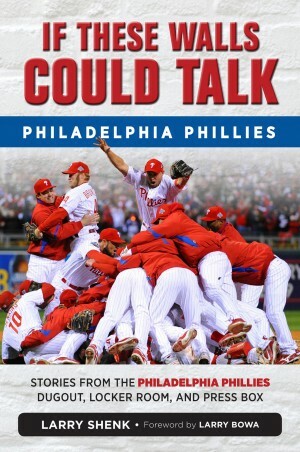 Phillies Insider is going to take a break for a while. In the meantime, let us know what you would like to see/read/hear on phillies.com during this off-season. As everyone knows by now, Charlie Manuel has a new two-year extension, something he earned and deserves. There’s no doubt he kept the ship afloat this season when there were a lot of leaks. Thought you might be interested in what went on behind the scenes before this morning’s 10 o’clock press conference. Charlie’s representative, Pat Rooney, met with Pat Gillick, Ruben Amaro Jr. and Mike Arbuckle yesterday. Discussions went back and forth and by the end of the work day (5:30), there was no agreement. About an hour later, Gillick called me to say the discussions were moving forward. Some members of the media got wind of the discussions. Once we got to the finish line (around 7:10 p.m.), the decision was made to make an announcement through a press release right away and then have a media conference this morning. With media outlets rushing to put the announcement on their websites, there was no way we could hold an announcement until today. We also sent the release immediately to our E-Mail Club (221,259 members). Communicating with those fans is very important, in our eyes. Several writers caught up to Charlie last night but the bulk of the media didn’t get to chat with him until this a.m.
One thing we try to do is make announcements on phillies.com first. It isn’t always easy, especially if you are announcing a trade and another team is involved. When it is an announcement strictly from the Phillies, we can pop it first on our website. That said, the Inquirer beat us to the punch last night, having something on their site before we could get it posted. Most of the time ESPN.com beats everyone. Last night, ESPN.com finished third. So, in the future, check this site for the latest-breaking news. Or, better yet, sign up to be an E-Mail Club member. Gray clouds are hanging over Citizens Bank Park, a sign of Mother Nature’s gloom since Game 5 of the NLDS was scheduled for here tonight. The Phillies clubhouse is really getting bare. Chris Roberson, Michael Bourn and Chase Utley checked in today to clean out their lockers. All that remains are Jimmy Rollins’ and Cole Hamels’ lockers. Athletic trainers Scott Sheridan and Mark Andersen continue to pack things in their area. The uniforms are now in a storage room at the rear of the clubhouse, waiting to be shipped to Clearwater next February. For those of us in the front office, it too is time to clean off the desk, files, etc. When the season is over, vacation time kicks in for many of us. That said, we also will start making plans for 2008. First meeting is tomorrow. While our offices were basically closed today because of the Columbus Day holiday, the players were able to drop by the clubhouse to clean out their lockers. The clubhouse was open 10 a.m. to 3 p.m. today. We allowed media access from 11 a.m. to 12 noon. Iguchi, Victorino, Helms, Werth, Gordon, Howard, Lohse, Romero, Geary, Mesa came by in the morning. Some players will be clearing out their lockers for good. Others, just until next season. Potential free agents on the Phillies include Barajas, Iguchi, Rowand, Alfonseca, Garcia, Lieber, Lohse, Mesa and Romero. The Phillies have a club option on Nunez. Certainly Jimmy Rollins, Chase Utley and Ryan Howard continued being among the elite at their positions. That’s a mighty big trio to anchor the offense. Pat Burrell came back and had a very productive second half. Speaking of Rollins, I guess all that **** about him not being a prototype leadoff hitter is dead. He set the standard this summer for a leadoff hitter. Werth, Dobbs, Victorino all contributed in big ways. They will all be back. Rowand had a career year in his free agent season. We want him back but Aaron has the right to test the free agent market. Desperation, stupid, panic….those were the descriptions when the Phillies moved starter Myers to the bullpen as the closer. The game today is played in the back end of the bullpen and Brett is one of the best there. He has the stuff and mental approach to be a classic closer. The farm system plugged two big holes this season in Ruiz and Kendrick. Ruiz was solid behind the plate, threw out base stealers and can hit. He’s always been a hitter. Kendrick stepped up from AA ball and filled a huge void in the starting rotation. 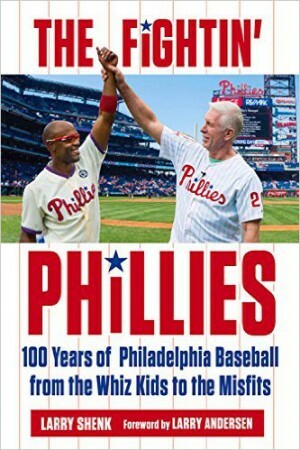 That will be the main focus this off-season..….for the Phillies and lot of other clubs. At the risk of boring everyone, it bears repeating…pitching is the most scarce commodity in baseball. It will not be easy to add to the staff. The free agent market is very thin and prices for the thinness will be thick. The key to pitching is to produce it from within. The Phillies have some young arms coming but they may be a year or half-year away from being ready. Ryan Madson and Scott Mathieson are expected to be healthy again next spring and they will be huge additions to the bullpen. A balmy, breezy, 81-degree day in Denver yesterday turned into a cold night for the Phillies. Just as the game was about to begin, a cold front came busting through dropping the temps to the 50s. Unfortunately, the Phillies bats resembled the front….cold. Now, the Rockies prepare for the Diamondbacks while the Phillies chartered home, arriving this evening as the sun was setting on Citizens Bank Park. Quite fitting. The game included a second-inning delay when the lights went out due to a computer glitch. I swear the Phillies scored six runs during the darkness but no one saw what I saw. It is hard to understand how or why the Phillies offense couldn’t produce in the three-game series. As a team, they batted .172 or 102 points under their regular season average. The highest scoring team in the NL could must just eight runs over three games. That’s baseball. This series reminded me of the 1976 Phillies who won the East and then were swept in three by the Big Red Machine from Cincinnati. This time, it was the Kid Rocks from Denver. So, Rocktober continues in the mile high city. This year’s team got a taste of the postseason which can only help in the future. It was a learning experience same as the near misses of the previous two seasons. Just painful lessons. Once the last out was recorded, one-by-one the Phillies trudged up the steps from the dugout to the clubhouse. Heads were down. While you could hear the roar of the crowd outside, silence ruled the Phillies clubhouse. Players sat motionless in front of their lockers. Major League Baseball’s regulations say the clubhouse of the winning team on a clinching game is opened immediately to the media. The losers, five minutes of closed time. Charlie Manuel wanted to talk to the team and I just felt five minutes was too short. When you see the players’ reactions to being eliminated, rules are replaced by common sense, in my opinion. The clubhouse was opened 11 minutes after the last out. Slowly players began to move about and one-by-one group interviews began to take place. Aaron Rowand was the first player to face the music. That’s standard for him. So, the season is now officially over. It was a disappointing finish, disappointing to the team, the organization but most importantly, the fans. But, it doesn’t diminish that we are the National League Eastern Division champions. They can’t take that away. Rollins, ss; Utley, 2b; Burrell, lf; Howard, 1b; Rowand, cf; Victorino, rf; Ruiz, c; Nunez, 3b; Moyer, p.
Backs to the wall. This team has been there this year. We need to make a statement by getting on the board early and taking the rowdy Rockies crowd out of the mix. The law of averages has to catch up with the kid Rocks, as they are called. They are 17-1 in their last 18 games. On the numerous coin flips last month they won everyone but one. It will be interesting to see how the starting pitchers fare, a veteran in Jamie Moyer and a kid in Ubaldo Jimenez. Today was a beautiful day in Denver, temperatures in the 80s. Tomorrow, a dip into the high 50s. Wind was very strong today, 25-25 mph. During BP, the wind was blowing out to left field. While wondering around downtown Denver there were very few fans wearing Rockies gear. In Philly everything is red and white. Tonight, the crowd will be a purple sea. One of the scalpers a couple blocks from Coors Field was not only peddling tickets for tonight but he was selling brooms. Hopefully, we can stick those brooms. (Catcher Chris Coste is providing his insight into the Phillies on game days): "Let me start by saying that as much as I like being home during the off-season, I am absolutely not ready to go home yet! "We have fought and clawed all season long, and after climbing out of a hole last month, we have a huge hole to climb out once again. One thing is for sure, the 2007 fightin’ Phils are not ready to quit and we will fight to the very end, hopefully all the way to November." There’s still hope, believe me. Yes, the 2001 Yankees are the only team to rebound from 0-2 to win the series. So, it is time for it to happen in the NL. We certainly are capable of winning three in a row. 81 degrees greeted the Phillies on a sunny afternoon at Coors Field. The Phillies worked out at 1 this afternoon, the Rockies three hours later. Flight here was last night was fine, except for about an hour delay while on the Philly runway. We got to the hotel around 1 a.m., EDT. Clubhouse was opened to the media at 12 noon. Charlie and Jamie Moyer did the interview room at 2:30. Players went about their business as usual before working out. Moyer sat alone by his locker reading USA TODAY and several magazines; several players spent time in the work out room; Howard, Dobbs, Rollins, Victorino, Hamels, Myers, Gordon, Romero did group interviews; Burrell and Billmeyer played cards; Alfonseca was his usual self, needling his teammates; Utley spent a lot of time in the video room watching tapes of tomorrow night’s starter, RHP Ubaldo Jimenez; Condrey spent time with a crossword puzzle; others were working on sudoku. The perception of the 2007 Phillies and 1993 Phillies is at extremes. In 1993 when we arrived in Atlanta, a newspaper headline read, “Get the women and children off the streets, the Phillies are here.” That was the reputation of the team, a bunch of bearded, gruff, wild bunch of misfits who just knew how to play baseball. Back on July 8 this year in Denver, the current Phillies helped rescue some Coors Field groundskeepers who got caught under the tarp during a storm. While there were no headlines in the Denver papers, fans out here still remember the Phillies heroics. I’m sure TBS will show a clip of it tomorrow. Chris’ comments will return tomorrow. In response to some inquiries, his book Catching The Dream is scheduled to come the presses next spring training. At least he has another chapter to add to the book. Rollins, ss; Utley, 2b; Burrell, lf; Howard, 1b; Rowand, cf; Werth, rf; Ruiz, c; Helms, 3b; Kendrick, p.
Yes, we’re behind the 8-ball. But, that’s nothing new. It has been that way since our 4-11 start. After the game, there was no gloom and doom in the clubhouse. Players were great in facing the media mass. Well, after a disappointing loss in Game 1 we will look to save the series and come up with a big win in Game 2 and tie the series at 1-1. If you think about it, if the series was ever going to get to 1-1, it is more beneficial to come up with a win in the second game to steal back some momentum. Also, all year long we have played well when our backs were against the wall, and down 0-1 in the series, our backs are against the wall. GO PHILS!! Charlie Manuel arrived around 9 this morning, looked through his stack of stats against Colorado pitchers and decided on the lineup. Jimy Williams then posted it in the clubhouse. During the season, Charlie always meets with the media pre-game in the dugout. That doesn’t occur in postseason. Charlie has to go to the interview room pre and post-game and on workout day. That said, he wanted to offer the beat writers who cover the team home and away all season private time so he asked Greg Casterioto, the Media Relations Manager, to bring just them to his office this morning. The TBS and ESPN radio broadcasters also get private time with each manager. The Charlie Manuel interview with Chris Wheeler that took place every game during the regular season is also part of the Phillies radio one-hour pre-game radio show. Once Charlie steps on the field for batting practice, he faces group interviews. Once batting practice is over, he’s free of any media needs. After the game, the Phillies will fly to Denver where the series resumes on Saturday night. The Phillies will work out at Coors Field at 1 tomorrow afternoon; the Rockies three hours later.